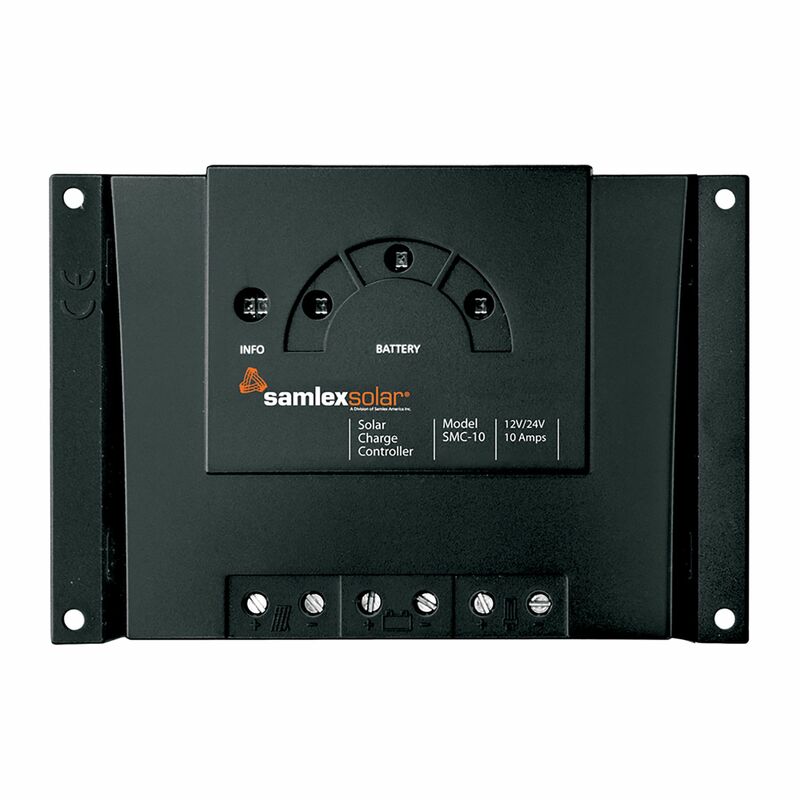 The Samlex SMC-10's circuit board is completely electronically protected, and with the LED user interface it is easy to check the battery state of charge at any time. Large terminals guarantee a simple connection to solar panels, battery and load. The SMC-10 works on PWM as a low loss series controller. The Samlex SMC-10 automatically detects incoming voltage from a 12 V or 24 V panel and charges the corresponding battery pack at the same system voltage (12 V to 12 V, or 24 V to 24 V). Do you own the SMC-10? Please, tell us what you think about it. It helps us provide you with better products. Please note that it may take up to 72 hours for your review to appear.